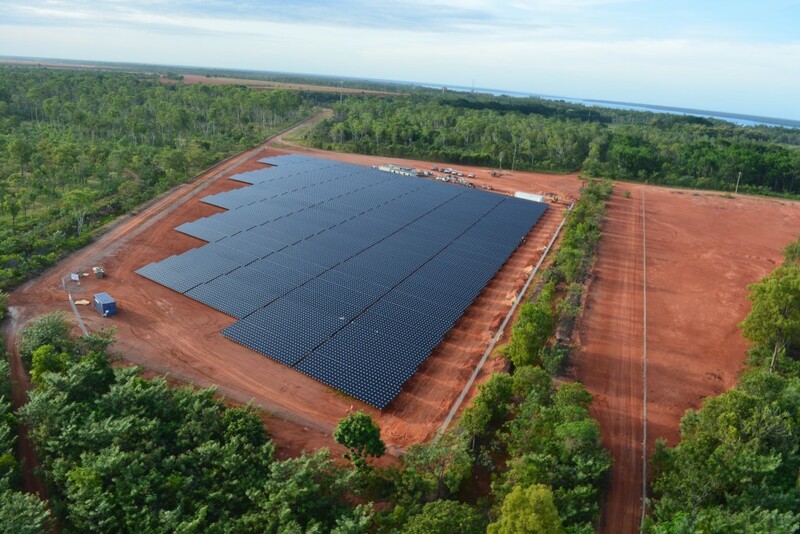 Weipa Solar, a 1.7MW solar PV plant at Rio Tinto’s Weipa bauxite mine and processing facilities in north Queensland, has officially begun operation. The plant – which is the largest solar array to date to support an Australian mining operation – is expected to produce about 2800 megawatt hours of electricity a year. Australia’s first commercial diesel displacement solar plant has started supplying electricity for the mine, the processing facilities and the township on the western side of Queensland’s Cape York Peninsula. The project was supported with an initial $3.5 million investment by the Australian Renewable Energy Agency (ARENA) in the first phase and another $7.8 million investment for the second phase. “This is the first time a remote Australian mining operation has been supplied with power from solar PV on such a scale. The success of phase one is set to create a precedent for industry by demonstrating that solar PV is a viable option for powering off-grid locations, like mine sites, in Australia,” said ARENA CEO Ivor Frischknecht. According to Rio Tinto Weipa operations General Manager Gareth Manderson, the energy from the plant is expected to slash diesel usage at the mine’s power stations by up to 600,000L a year. “This will reduce Weipa’s greenhouse gas emissions by around 1,600 tonnes per year, equivalent to removing around 700 cars,” said Mr Manderson. Rio Tinto will purchase the electricity from the plant’s 18,000 photovoltaic modules under a 15-year agreement. The modules are combined with a fossil-fuel engine generator to optimise fuel savings, while maintaining system reliability. “It is already widely acknowledged that solar electricity is typically cheaper than diesel-powered electricity, particularly in remote locations. 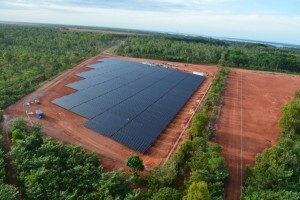 The significance of the Weipa Solar Plant is that it provides the opportunity to demonstrate that PV-diesel hybrid projects can also be as reliable as stand-alone diesel-powered generation,” said Jack Curtis, First Solar’s Regional Manager for Asia Pacific.